When I started this blog, a big impetus was because my daughter is advanced in her reading abilities and finding books that are age appropriate and yet still challenging is incredibly complicated. There are tons of great books out there, but it can be overwhelming to find books to keep kids occupied that are not beyond their emotional intelligence and maturity. I’ve reviewed a lot of picture books because you are never too old to enjoy a good picture book, but I was inspired by the blog Pragmatic Mom to put together a grouped list. 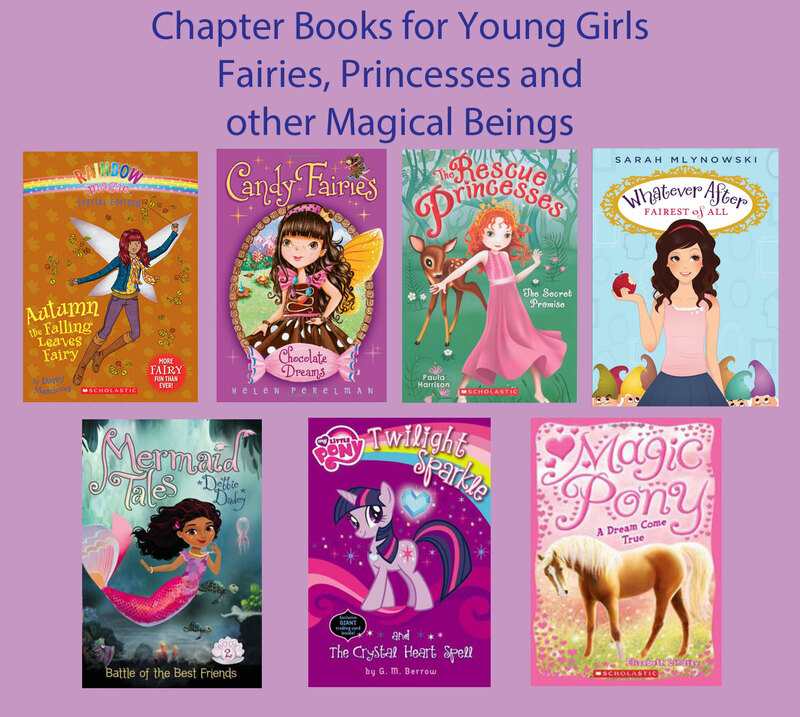 While thinking about it, I realized that it actually made more sense to come up with a couple of lists, so here is the first of a series on chapter books for young girls. My 6 year old is still fairly obsessed with princess and fairies, so these are some of her current favorites. If you know of additional series, I would love to hear them. 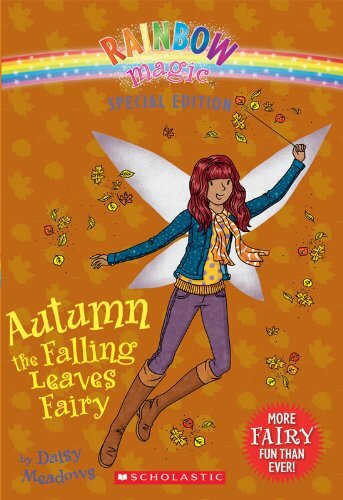 Rainbow Magic – This is a great series that will appeal to the 4-8 year old crowd, as I explained in this previous post. The books are incredibly formulaic, but that is appealing to emerging readers. The book focuses on two young girls, Rachel and Kristy, who always find a way to help whatever fairy has had her enchanted object stolen by Jack Frost. 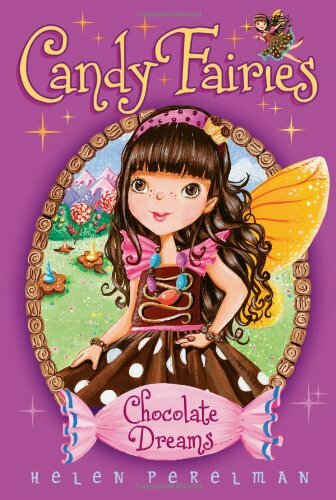 The Candy Fairies – For girls who enjoy Rainbow Magic books but are ready for a slight change of scenery, this sugary sweet series is sure to please. Instead of evil goblins lead by Jack Frost, the bad guy is Mogu the troll (and some goblins for good measure). The candy fairies work together to solve problems such as why the candy crops are melting, how to stop two fairies from arguing and who stole the chocolate eggs. As a parent, I’m shocked to say that I would prefer reading Rainbow Magic over these, but J loves this series, so they obviously speak to their market. The Rescue Princesses – This is a new series that we have found that I’ve been meaning to write about. A full post will come soon. In the meantime, in this charming series 4 young princesses meet at a Grand Ball and find that they are all more than fancy dresses and perfect manners. 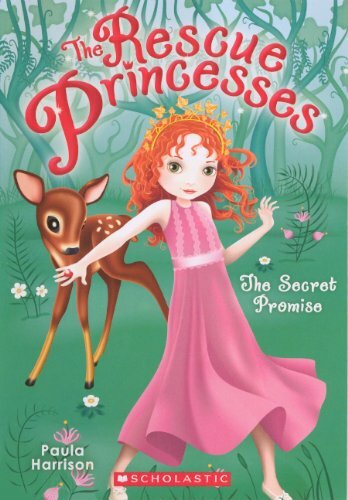 Each book find the girls saving an animal in trouble using their smarts and skills. This is definitely a great series for the 6-10 crowd. 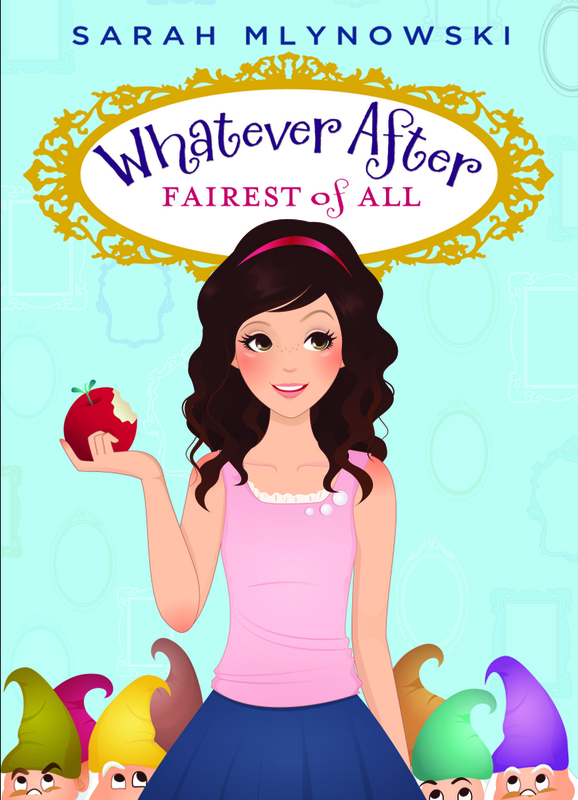 Whatever After – As mentioned previously, this is a fun series that takes a different twist on fairy tales. Brother and sister duo discover that there is a mirror in their basement that magically transports them to fairy tales. They learn, however, that just by being there the fairy tales change – Snow White doesn’t bite the poisoned apple and Cinderella doesn’t marry the prince. They are told in a fun manner and get kids thinking that the stories they know so well don’t always have to have the same ending. 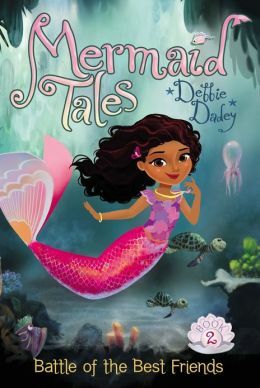 Mermaid Tales – We haven’t actually read book 1 in this series, “Trouble at Trident Academy.” However, J has read “Battle of the Best Friends” and “The Lost Princess” and enjoyed both of them. The story follows young mermaids and mermen in their 3rd grade class at Trident Academy. The books show how the young mermaids deal with normal, and some not so normal, events that are a part of growing up – new social circles, starting a new school, taking a trip to somewhere new, finding out that you’re a princess…At least it is a nice change from fairies. 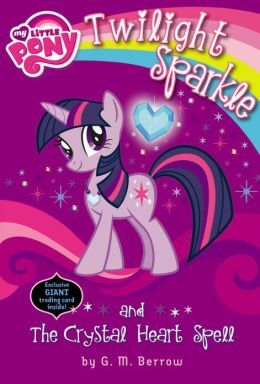 My Little Pony Chapter Books – If your daughter likes the My Little Pony Friendship is Magic series, she will love these books. They are written very much like the show, minus the musical numbers. The nice part is that they are not a retelling of episodes your child has already seen, but seem to be stand alone works. As with the show, there is usually some kind of nice moral message to go along with the story. 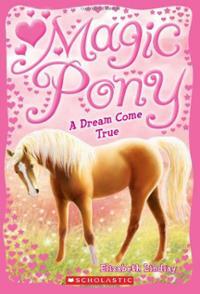 Magic Pony Series – Okay, so this one isn’t fairies or princesses, but these books feature a little girl who has a magical poster where the pony comes alive at random times. The young girl, Annie, buys a poster at a magic shop and her life is changed. Now she finally has a pony of her own, but she has to keep him secret. This is a very sweet series that probably would attract the 4-8 range.